I haven't seen the movie. I haven't read the article. I did listen to writer Taffy Brodesser-Akner talk Tonya Harding on The Daily, and my heart broke a little. Her mother hurt her. So did her husband, who she married to escape her mother. She made her own costumes. She worked at Spud Kitchen in the mall. The skating world slammed her because she didn't conform to their classist ideas of femininity. Because she chose Tone Loc over Tchaikovksy. She's still culpable for her role in the knee-bashing. But her story can't be reduced to good and evil. Go listen. 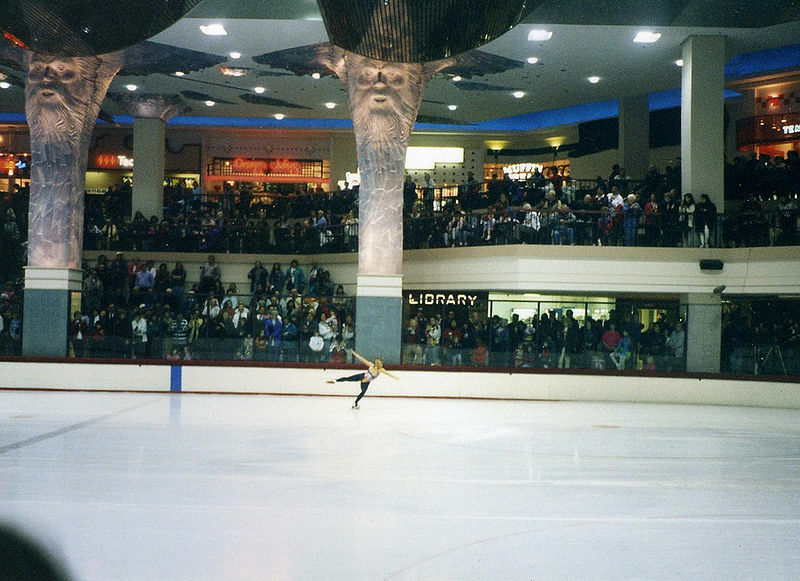 Tonya Harding Olympic practice at Clackamas Town Center 1994. Credit: Andrew Parodi.